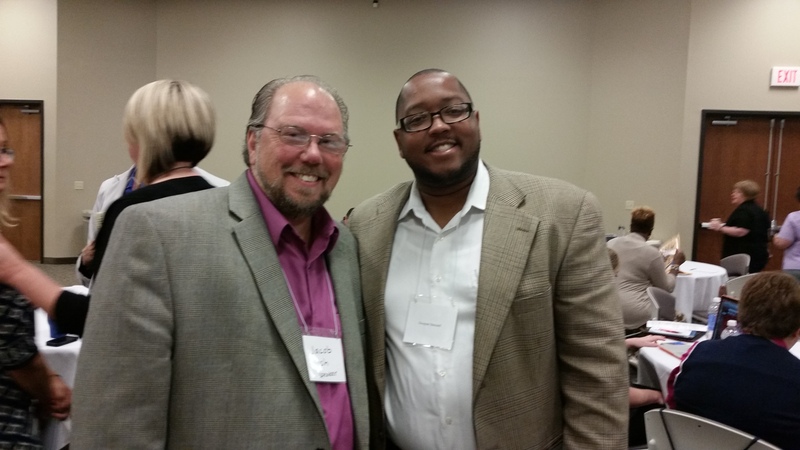 We’ve come to the end of the LGBTI Health Research Conference at Baldwin Wallace University. This has been a very life-changing experience, for which I am truly grateful. Being in the room with so many experts that have and are currently making groundbreaking changes in the country, and around the world, regarding the inclusion of LGBTI communities in health research has been phenomenal. I can’t thank the Network for LGBT Health Equity enough for this amazing opportunity. The conference began it’s last half with two lively panel discussions. The first was “Community Perspectives Regarding LGBTI Health” featuring Jacob Nash (transgender activist and director of Margie’s Hope), Alana Jochum (Equality Ohio’s Northeast Ohio Regional Coordinator) and Maya Simek (program director for The LGBT Community Center of Greater Cleveland). Jochum made some very interesting points regarding how LGBTI health research has made historic advances in LGBTI rights possible. She referenced several court cases that have used the statistics compiled by researchers, several in the room, in major courtroom arguments for marriage equality. Her examples helped further illustrate the need for the work of those attending the conference. Nash and Simek put out calls to researchers for more specified research studies on marginalized populations and offered insights on the health issues they’re seeing among marginalized populations. They both reiterated the need for more collaboration between activists and health researchers. 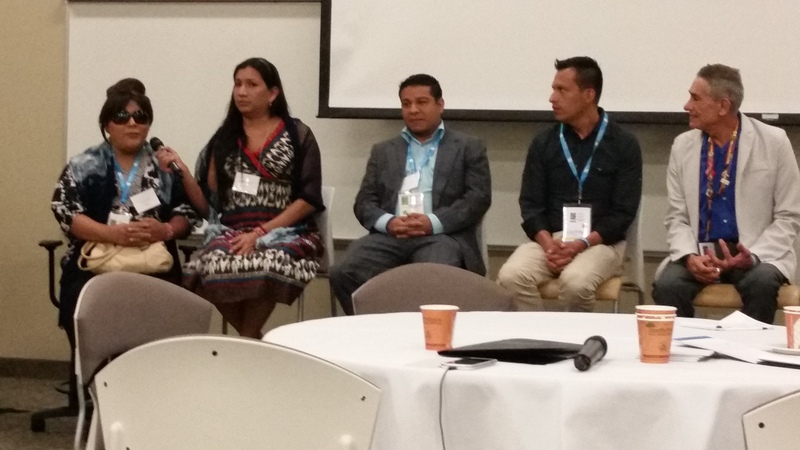 The conference officially ended with “LGBTI Health and Human Rights in International Settings” with a very dynamic panel of LGBTI health community organizers from Latin America and India. Wendy Castillo, a community organizer from El Salvador who has done work providing safe spaces for lesbian and transgender women, spoke at length about the tragic murders that continue take the lives of transgender women regularly in El Salvodor and the struggles organizations there face with trying to keep transgender women safe. Daniel Armando Calderon and Alejandro Rodriguez, both community organizers around issues facing the MSM community in Columbia, discussed how they try to decrease barriers for “heterosexual MSM’ and other special populations needing HIV care and other health services. Vivek Anand, of Humsafar Trust, closed out the conference with more detail regarding his efforts regarding the recent re-criminalization of homosexuality in India. His organization has courageously come to the forefront of attacking this law that was passed by the country’s Supreme Court after massive efforts from religious leaders. I thinks it quite admirable that the work he’s doing is heralding and sometimes dangerous, but he faces it head on with an upbeat attitude. He ended his presentation with a video of Gaysi‘s (an LGBT advocacy organization in Mumbai) #notgoingback campaign, one of the efforts to build awareness and garner support for repealing the law. The upbeat video, featuring Pharrell Williams’ massive hit song “Happy,” is a perfect representation of Anand’s bubbly activist spirit. And thus we end our time together my friends. Please always remember the words of Dr. Martin Luther King that I used to start this blog series, “Our lives begin to end the day we become silent about things that matter.” Let’s never end this very important conversation! NIH needs to implement a comprehensive research agenda. Sexual orientation and gender identity data needs to be collected in all NIH federally-funded research. Sexual orientation and gender identity data also needs to be collected in electronic medical records. Research training should be created by NIH that is specific to sexual orientation and gender identity. Identify sexual orientation and gender identity among the NIH official list of minority populations with disproportionate health disparities. Dr. Bockting’s statements were overwhelming verified later by Dr. Rashada Alexander, a Health Science Policy Analyst at NIH. She discussed how NIH was responding to the IOM report, most notably the creation of the NIH LGBTI Research Coordinating Committee whose task is to create a national strategic plan for sexual orientation and gender identity research. I was pleasantly surprised to hear that this group existed and will be releasing their strategic plan by the end of the year. She also went on to discuss a funding opportunity announcement NIH has released specific to LGBTI health research and and other efforts of the NIH regarding LGBTI health. It’s very empowering to know that our federal government is taking an intentional approach to studying LGBTI health, especially when this was something that wasn’t possible just five years ago. I feel as if I’m watching systemic change take place right before my eyes. It’s a very exciting time to be an LGBTI health researcher! 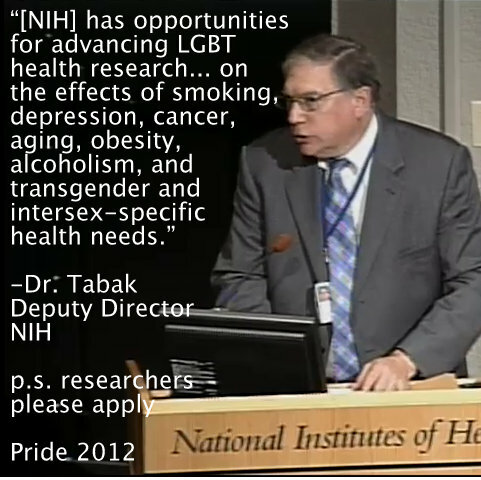 Back in June we circulated a quote from the Deputy Director at National Institutes of Health, Dr. Tabak, about their new LGBT health research priorities (see the picture). We knew these priorities were the result of their ongoing work responding to the Institute of Medicine report on LGBT health they commissioned earlier. Today we now see the full scale of the work NIH has been doing to respond to the specific recommendations laid out by the IOM. 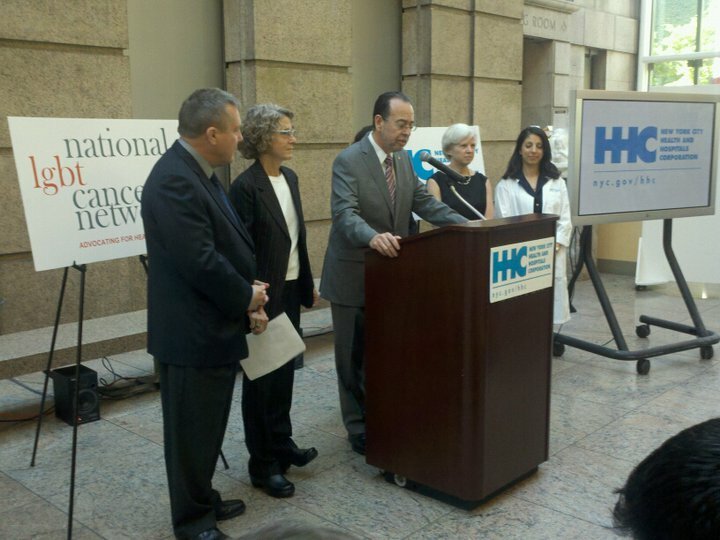 Make no mistake, this is a milestone in LGBT health. We’ll be doing a deeper analysis of this report in time, but today as the report is first released I want to just highlight a few of the biggest takeaways. 1. There are many substantive issues to be pleased about. The report provides insight and plans around a large number of important areas. As just a few examples: there’s a strong call for more data collection, a smart analysis of the need for and best strategies for career development resources, and an emphasis on specific underserved populations such as transgender people, among others. 3. It is very gratifying that this report is getting top flight attention at NIH. White papers without leadership support can collect dust very fast. It’s excellent to see that this report was released with a preface by the head of NIH, Dr. Frances Collins. This sends a signal internally and externally that this report is not to be ignored. Read the official Fenway response here. And read all of NIH’s releases today at the links below. The Family Smoking Prevention and Tobacco Control Act requires the FDA to consult with the Institute of Medicine (IOM) on the design and conduct of studies and surveillance required for the assessment and ongoing review of modified risk tobacco products. Tomorrow, the IOM will release a report on the design and conduct of studies which the FDA will use in the assessment and ongoing review of modified risk tobacco products. Please see below for an invitation from the Institute of Medicine. The Institute of Medicine report, “Scientific Standards for Studies on Modified Risk Tobacco Products,” will be publicly released at 11:00 AM EST on December 14th, 2011. This report provides advice to the FDA on the minimum standards for scientific studies to allow the marketing of modified risk tobacco products, and for post-market studies of marketed products, as described in section 911 of the Family Smoking Prevention and Tobacco Control Act of 2009. The IOM will be hosting a teleconference briefing about the report for interested parties. During the briefing, the chair of the committee and several committee members will briefly review the main recommendations and findings of the report, and will also be available to answer questions. The teleconference will be from 12:00 PM EST to 12:45 PM EST. If you have questions, please email AskCTP@fda.hhs.gov or call 1-877-CTP-1373. In Sickness & In Health: LGBT Health Issues Make Steady Gains At Federal Level. Cross post by Dr. Scout which appeared today on the DailyKos site. Click the link above, sign up for DailyKos, and comment. For those of you who do not know about DailyKos the blog is defined as a: Democratic blog, a partisan blog. One that recognizes that Democrats run from left to right on the ideological spectrum, and yet we’re all still in this fight together. We happily embrace centrists like NDN’s Simon Rosenberg and Howard Dean, conservatives like Martin Frost and Brad Carson, and liberals like John Kerry and Barack Obama. Liberal? Yeah, we’re around here and we’re proud. But it’s not a liberal blog. It’s a Democratic blog with one goal in mind: electoral victory. And since we haven’t gotten any of that from the current crew, we’re one more thing: a reform blog. The battle for the party is not an ideological battle. It’s one between establishment and anti-establishment factions. And as I’ve said a million times, the status quo is untenable. SCIENCEBABBLE ALERT – This is a meeting for scientists, despite my efforts, some of this may get technical. Why’s this a big issue? Probability sample data is the gold-standard for drawing conclusions, but we have much less of this for LGBT people, mostly because LGBT measures aren’t included on the monster federal surveys that are the big probability studies. Dr. Clark followed (that’s Melissa to you and me) and led off by echoing all of Dr. Kasprzyk’s points. She says “”That’s usually how I end every talk I give about sexual minorities, I say ‘please help us get these questions added. 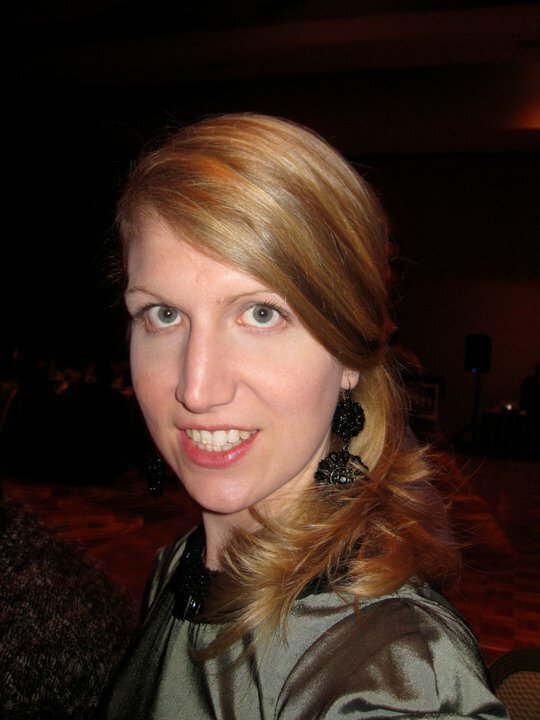 '” She talked about her experience at Brown University and how much she’s been working to try to get the non-LGBT researchers to include LGBT measures. 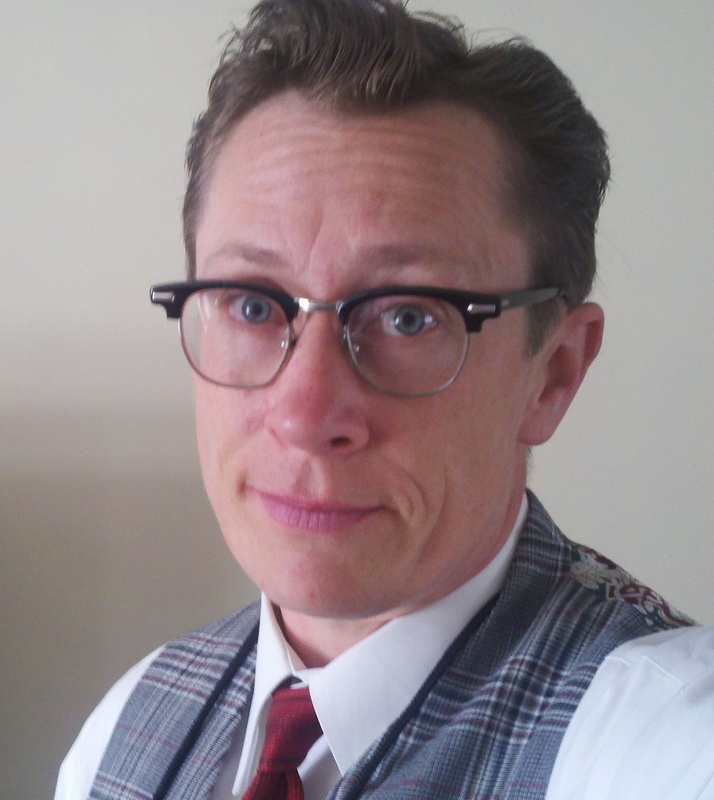 Through this effort, she’s managed to take one of the IOM report recommendations and institutionalize it, “Now when there’s a new study, people have to either include sexual minorities or explain why they are not.” Kudos to Melissa, let’s hope NIH follows suit! The panel was rounded out by Jeff Parsons. He talked about how it always seems there’s a flavor of the day at NIH for the newest rage for sampling, some of which are just never really viable in the field. “You can’t just count every 9th person who goes in the bar and pull them for the study, it doesn’t work.” Tonda Hughes from UIC echoes that sentiment, noting that the popular method, Respondent Driven Sampling, has never worked for her in samples of women. Ok, I’ve fled from the very exciting Netroots Nation conference to get back to Boston because today and tomorrow mark the 3rd annual convening of one of The Fenway Institute’s other major initiatives, the Center for Population Research in LGBT Health. Not only does this mean I get to hang with some of my farflung friends for two days, not only does it mean the largest gathering of trans health researchers I’ve seen, not only does it mean I get to meet many upcoming researchers involved in the mentorship program, but right now, it’s also the biggest meeting about LGBT research that occurs each year. I came a little late, so am jumping in as the head of one of the most prestigious survey centers in the country, Dan Kasprzyk of NORC, weighs in on issues related to LGBT sampling. (He was just talking about a non-sampling error experience.) So, I’m going to focus more on the actual content now… but just wanted to start off by giving you a little bit of context to the meeting, because this is a really cool project. Previous studies have shown that sexual and gender minorities have higher prevalence of life-threatening physical and mental health conditions, experience significant barriers to health care quality and access, and face substantial threats to quality of life. Population-based research is necessary to more fully understand the causes of these disparities, so that effective responses can be developed. The proposed project’s long-term objective is to create a sustainable capacity for population studies and the translation of results into practice models for sexual and gender minorities. This 5-year effort will be conducted by the Fenway Institute, supported by the Research and Evaluation Department of Fenway Community Health (FCH), a Federally-Qualified Community Health Center. FCH provides comprehensive primary health care and mental health services annually to 11,000 neighborhood residents and students in nearby colleges and to LGBT persons, primarily from Greater Boston. Approximately 55% of patients self-identify as LGBT, reporting sexual or gender minority behavior and/or identity. The project has the following specific aims to develop the infrastructure for population research regarding the health of sexual minorities: (1) develop and support a multidisciplinary faculty to advance the study of sexual and gender minority populations, (2) create a shared research library, to include selected population-based datasets and findings from a large clinical dataset, and (3) disseminate the products of our work through the internet, a monograph, and peer-reviewed journal articles. A team of researchers with diverse qualifications has been assembled to address these specific aims, with the assistance of a National Advisory Board of experienced population scientists and technical experts. The input and collaborative work of these researchers will lead to a common framework for multidisciplinary scholarship that advances understanding of sexual minority populations and how social, cultural, and institutional factors influence their health. This work will provide a foundation for culturally competent treatment approaches and behavior change models for sexual minorities. Or perhaps you caught how the new HHS Tobacco Action plan identifies LGBT people as a priority disparity population? Or maybe you even noticed the following commitment on the HHS website to include LGBT populations in the new affordable care act prevention funding? “In addition, the Affordable Care Act is funding preventive efforts for communities, including millions of dollars to use evidence-based interventions to address tobacco control, obesity prevention, HIV-related health disparities, and better nutrition and physical activity. The Department of Health and Human Services intends to work with community centers serving the LGBT community to ensure the deployment of proven prevention strategies.” Excerpt from The Affordable Care Act and LGBT Americans factsheet at healthcare.gov. But while we know some of you have excellent and long-standing relationships and collaborations with local LGBT community leadership, many states are still building their expertise in addressing LGBT disparities. And as we know oh so well, it’s hard to find LGBT data you need to include in proposals! Let us help you! As one of CDC’s six tobacco disparity networks, we’ve got long experience with helping states and cities build bridges with their local LGBT leadership and we’ve got a secret treasure map to all those LGBT data. 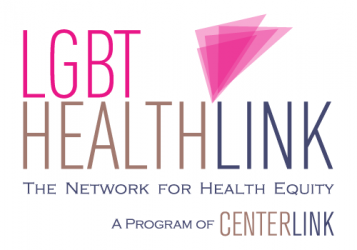 Please join the Network for LGBT Health Equity and the Tobacco Technical Assistance Consortium for a jointly sponsored webinar on how to include LGBT disparities in your CTG proposals. Where: Please RSVP online to register and we’ll send you call information the morning of the call. If you have issues registering, please email: lgbthealthequity@gmail.com. Questions? Ask them here or email lgbthealthequity@gmail.com. June 21, 2011 EDIT: We had folks from over 29 states on the call and have sent emails to members of each state connecting with those on the last call and other state experts. We’re about linking people with connections, so if anyone from on or off the call has questions or needs contacts, let us know! Today Scout and the Director of the Center for Population Research in LGBT Health, Dr. Judy Bradford presented on recent LGBT health reports as well as policy advocacy activities lately, including news that the Joint Commission is enforcing LGBT non-discrimination policies of accredited hospitals! 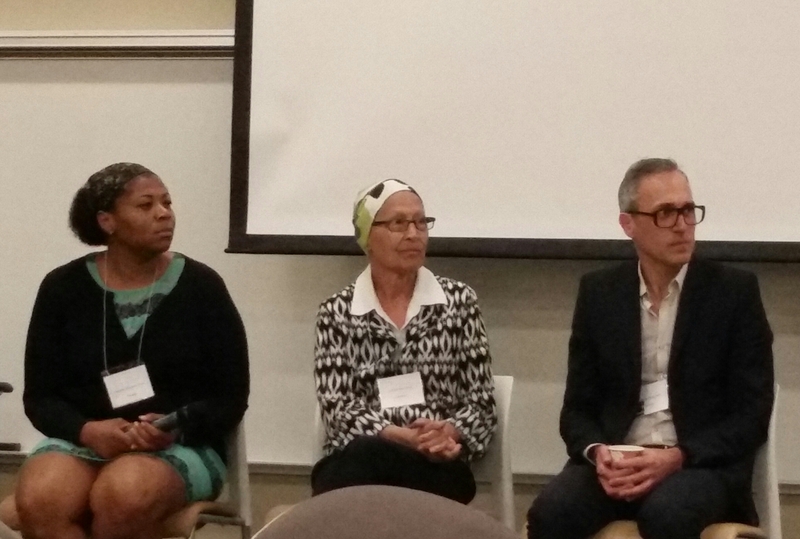 It was a wonderful summary of the current state of LGBT public health, research and policy. I think it takes a lot to get caught up on all that’s going for LGBT health even more confusing to understand the broad-scale impact in the bigger picture. Even if LGBT health is your daily work, it’s great to get an inspiring refresher, which is just what this was! Judy led off discussing the Institute of Medicine (IOM) Report – The Health of Lesbian, Gay, Bisexual, and Transgender People. Background/structure: This report is academically science-based and non-political in nature. A committee and IOM staff (some LGBT, some non-LGBT) collaboratively wrote this report over two years. 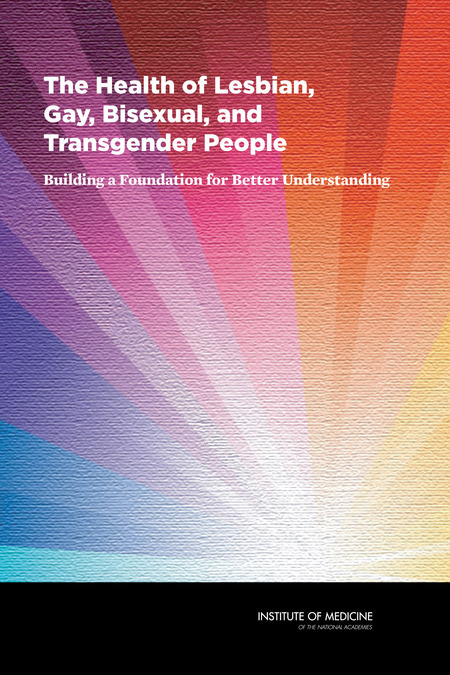 The report reveals the health status (including disparities) of LGBT people, identifies gaps, outlines a research agenda and considers research training needs to foster the advancement of knowledge about LGBT health. It’s a mouthful, but concepts analyzed in the report are an analysis of the lifecourse, minority stress and intersectionality (ex. race and sexuality). Major themes in the report revealed: Most research on LGBTs reveals health disparities in every area of LGBT health. Most research is uneven, mostly focusing on adults (less on youth and elders), mostly focusing on gay men, some on lesbians and little on bisexual and transgender people. Why collect this data? 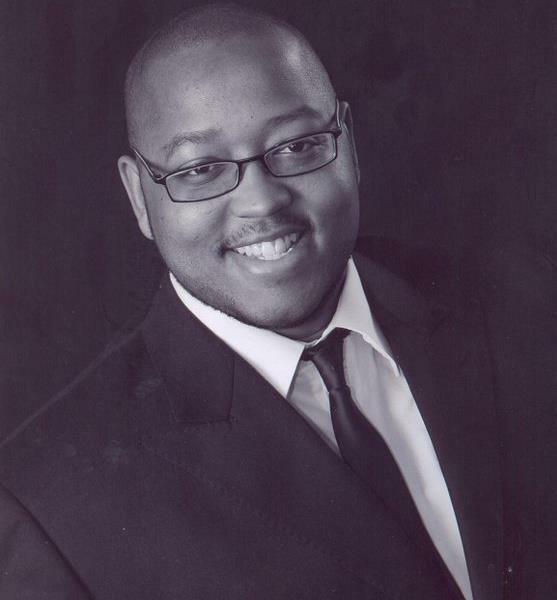 : Inform scholarship and public policy, increase visibility and because we can. To read more check out past entries such as its announcement. With the National Transgender Discrimination Survey, we know of severe health disparities among transgender people. This is the best information we have on transgender health disparities, and is currently being used on the federal and state level to advance public policy for transgender people. This is a prime example of how community based research can be used for public policy. There is a cross-HHS task force comprised of LGBT people and allies who are making huge positive changes for LGBT people. As a result of the collaboration, we are part of major federal documents, such as Healthy People 2020 that highlights us boldly, and will likely be adopted by state plans. ***SOME NEW BIG NEWS:*** Additionally, as of July 1st, the Joint Commission is requiring all hospitals and health centers it accredits to have non-discrimination policies for LGBT people and just shy of requiring cultural competency, these institutions are being asked to be more welcoming. This is wonderful news, and we’re proud to one of the partners advocating for this since last fall. Speaking of which, with yesterday’s announcement that 37,000 NY hospital staff will be required to have LGBT cultural competency, and the federal praise for it, this could indicate growing requirements for these trainings. To have the head of all NY public hospitals reinforce that LGBT cultural competency trainings are a mandatory part of good healthcare is historic, let’s hope other cities and hospitals soon follow! See their press release here. L to R: NYC Councilman Daniel Dromm; Liz Margolies, ED of National LGBT Cancer Network; NYC HHC President Alan D. Aviles, NYC Deputy Mayor Linda Gibbs, and HHC doctor. We were also live-tweeting from the event with all play-by-play tweets on @lgbttobacco and @lgbthlthequity with some major help from friends on the ground @cathyrenna and @RennaComm, so check out updates there. Let’s hope the news spreads fast and other hospital systems follow suit.